20:00 – Brandon jerked awake in bed, dutifully opening his lids in response to the clanging alarm. Message received: one hour before going on duty. 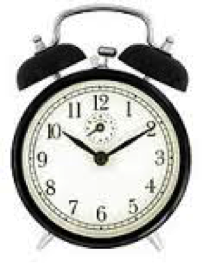 No snooze button, no music, nobody nagging him to get up – accountable for his own actions. Long ago in college, after slumbering through a crucial exam, Brandon made a pledge to never oversleep again. Employing an old-fashioned windup clock (instead of a battery powered model – batteries having the bad habit of dying just when they are needed the most), he placed it atop a shelf on the opposite side of the room. To quiet the din, it is necessary to get out of bed, cross the room, and shut off the alarm. The premise: if you’re awake enough to handle that task, you’re darn good and awake. “Time to make the doughnuts,” he muttered, with a yawn. You have already made me as proud as a father can be. It’s still hard to wrap my brain around the thought of you attending university classes. It seems like I only graduated a few years ago, myself (rather than decades). Your mother and I firmly believe that having you, as our son has been the most rewarding experience of our lives. Don’t ever forget that. And yes, I do understand about you wanting to stand on your own two feet. That’s another thing about you that fills me with pride. Some kids would rather take the easy way and ride on the coattails of their parents. But, your ethics and drive set you a breed apart from the norm, and you have the potential to lead the first manned mission to Io, Europa, or Triton, or places not yet even discovered. Between us guys, I know I’m not always around for much face-to-face time with you, but all your mom and I ask from you, is to always do your very best, complete your own work, never cheat, and always be ready to do a little extra when it is asked of you.